We know that farming is at the core of New Zealand. It’s what our country was built on and it continues to be an integral part of our identity and our economy. To ensure this continues, we can help farmers to improve their systems in order to keep up with today’s demands and expectations. 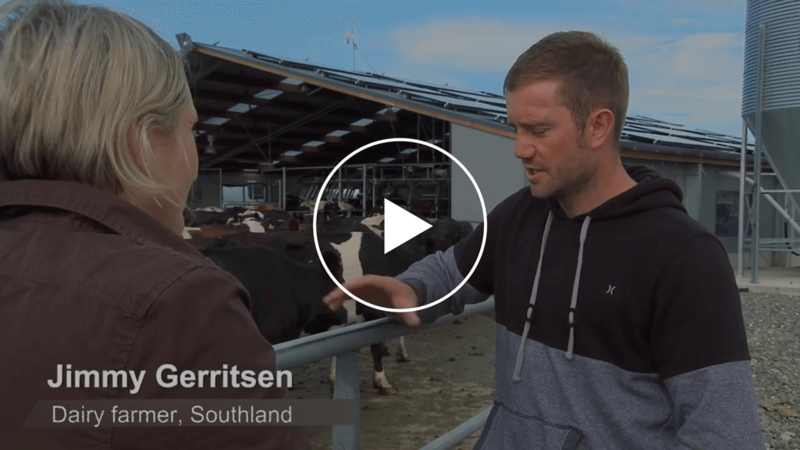 We’ve seen a common thread amongst most successful Kiwi farmers – you’re looking for ways to increase production, reduce costs, and do this with greater environmental awareness. That’s where solar energy comes in and really "shines light" on the situation. Whether your farm is dairy, or sheep and beef, or a horticultural or viticultural business, using solar energy on your farm is a great, clean way for you to lower your power expenses, while increasing your production rates; essentially producing more for less. Solar can power an amazing array of things on your farm, from livestock buildings to electric fences, while simultaneously lowering your monthly electricity bills. To give you an idea, solar power has been shown to reduce daily day-time grid power consumption by up to 70%, significantly reducing network charges. You’ll also be doing your part to improve the agricultural industry’s environmental reputation by reducing carbon emission production - an important issue that all NZ farmers are facing. So, although you’ll be producing more, you won’t be increasing your environmental impact. So, the bottom line is that a switch to solar energy means you can afford to increase production and your profits. It’s win win. Many dairy farmers are using solar to power their everyday operations and equipment. Solar is an exciting and smart way to be able to supplement energy use by generating clean electricity as dairy farms are usually still connected to the power grid. It’s a popular way to invest in, and improve your dairy farm. You might be wondering what the size of a typical solar system is on a dairy farm. Well, every situation is unique, and we tailor our systems to the farm's requirements, but generally we look at larger dairy sheds running at around 800-1000 cows during milking. This gives an average monthly running cost of $2000-$3000, around 200-400kWh/month. With this in mind, we recommend a 30kW solar system on most rotary dairy sheds which will produce an average of 150-200kWh during peak milking month. This equates to (on average) a 50-70% reduction in power consumption during daylight hours. Solar power is an ideal method of assisting horticultural farms to produce more, and lower costs. Due to the nature of horticultural farming, a large amount of water is required for irrigation – a heavy consumer of power. Solar power systems are a great solution, as summer sunshine and the need for irrigation go hand-in-hand. Solar allows for the sun’s energy to be harnessed to not only pump water for irrigating crops but also power farm machinery and equipment. This incredible source of power can also be used for lighting, heating and ventilation to both horticultural buildings and homes. Solar power is a great opportunity for horticultural farmers to stabilize energy costs throughout the year. In an industry where brand reputation is so important what could be better and more attractive for customers than knowing that they are buying from an eco-friendly solar powered vineyard? It sends a positive message to visitors to your viticultural farm as well as having an extremely positive impact on your power expenses. Solar power can be used to supply or supplement traditional power sources. As with all generators of solar power, vineyards have the option of selling off any excess power that they make, flowing it back into the local grid. And with the price of traditionally sourced power so high, it just makes sense to use the ultimately cheaper source of solar power. Remotely located solar panels can convert sunlight directly to electricity – whether its for powering remote electrical equipment or charging a battery. This is a much cheaper and more convenient option that installing power lines or transformers. Solar powered water pumping and irrigation systems are an extremely cost-effective option, particularly in locations where there’s no existing power lines. Solar powered water pumps are known to be very reliable and require little maintenance. Installing a solar power system is an investment, but one that has a great return. Generally speaking we advise that you can expect a 9-11% return on your investment, with anywhere from a 4 - 7 year payback period, depending on your situation (which we can assess for you, free). To calculate what you would expect your solar payback period to be for your agri-business we assess your last 12 months of power accounts. We’d run them through our World Solar agriculture calculator, and work out everything required for you to take to your financial adviser or accountant to look at. We realise that sometimes a finance option can be a great way to purchase when you’re running a business. We offer a lease-to-buy option of 7 years, complete with working out the cash impact solar will have on your business, and showing you the difference between lease repayments and your solar savings. It’s a great option to be aware of as leasing can often work out to be very similar to a cash purchase, and can make things more affordable by minimalizing the cash flow impact on your business. When it comes to installation sites, we’ll always try to install the panels on an available structural shed or home first. And, if there isn’t a suitable building or roof space available a ground mount system is still a great option. Tilt frames are typically installed, as our tilt allows for the required angle of the panels for a higher efficiency rate. As you can see, powering with solar energy is a clean, affordable, and sustainable way for farms to generate energy. Once the numbers are calculated, it’s easy to see why a farm business would utilise this incredible, free source of power. However, in addition to the financial considerations we also need to recognise the value of the important environmental advantages of solar. Solar energy use means that the harmful carbon dioxide and methane emissions that come from traditional fossil fuel energy generation, are reduced – a win for air quality and climate change. Solar power systems don’t need water to generate electricity. This is a huge benefit for the environment when compared to traditional power generation processes that use massive amounts of water. Solar energy production doesn’t cause any pollution to local water resources, drinking systems, or other vital water ways. It’s simple - solar energy is renewable. It runs off the world's most plentiful energy source, the sun, which produces an astounding 174,000 terawatts of solar energy every second - more than 10,000 times the world's total combined energy use, and it can be used over and over again. This cuts out the need to use traditional non-renewable fossil fuels, that once used, are gone (and will eventually run out). World Solar is a proud Card Partner of Farmlands. For existing customers, they offer a 2.5% rebate on the purchase price, three Choices points for every $150 spent and normal Farmlands payment terms. 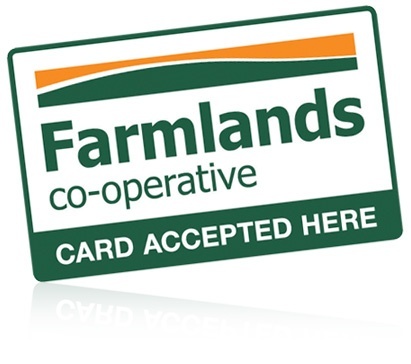 It’s as easy as handing over your Farmlands Card. 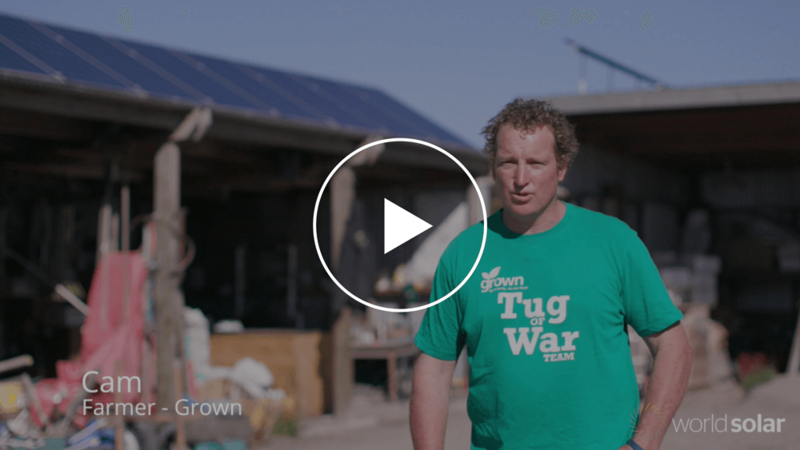 Keen to get started with solar for your farm?